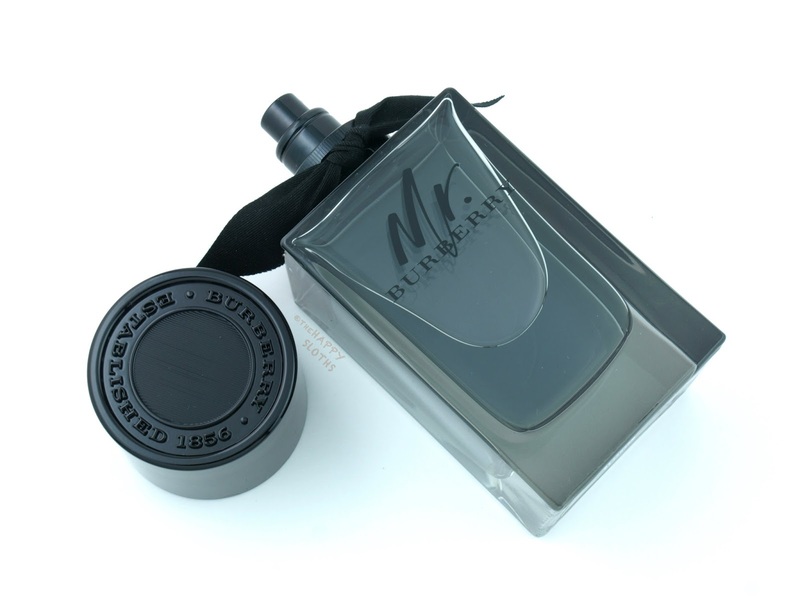 Inspired by the iconic black trenches from Burberry, Mr. Burberry has a very masculine grey-tinted rectangular bottle. The etched cap is reminiscent of the trench's horn-look buttons and the neck of the bottle is wrapped with a hand-tied gabardine ribbon. Just like the My Burberry fragrance bottle, the Mr. Burberry bottle gives off a really classic yet modern feel. Top Notes: Grapefruit, tarragon, cardamom. Heart Notes: Birch leaf, nutmeg oil, cedarwood. Base Notes: Vetiver, guaiac wood, sandalwood. Mr. Burberry opens with a soft and refreshing whiff of grapefruit before fully transitioning into a warm and woody fragrance. The combination of nutmeg and cardamom really comes through to form a slightly sweet and spicy undertone while the vetiver, cedar, and sandalwood blends into the woody, earthy core. I'll admit that this isn't a very original scent as it's a pretty generic warm, woody cologne. With that said, I think Burberry has created a very pleasant and refined version that will sure to please those that appreciate a sophisticated and masculine scent. Burberry is available at Nordstrom, Hudson’s Bay, Sephora Mississauga, online at The Bay, Sephora, and Burberry.